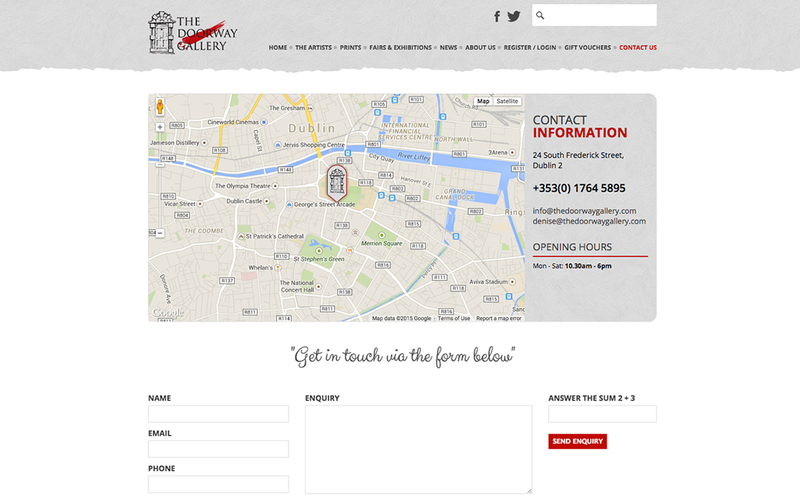 The Doorway Gallery is one of Dublin's newest and most exciting art galleries. 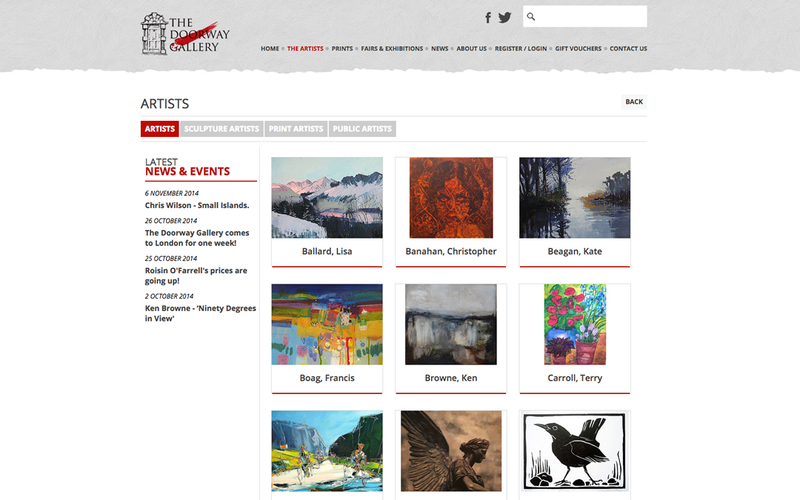 It offers original artworks and prints from an impressive selection of affordable contemporary artists. 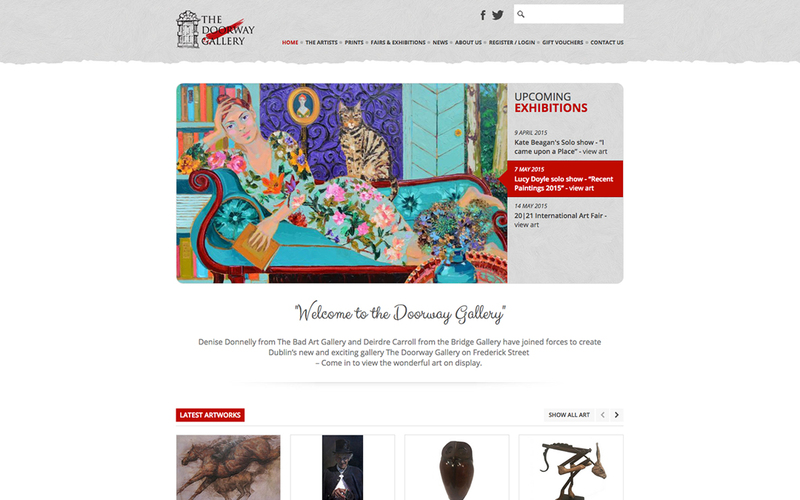 The Doorway Gallery approached Blue Cubes to create their website because they knew of our long-standing experience in the art gallery market. We worked with them to produce a website and content-management system to meet their specific requirements. 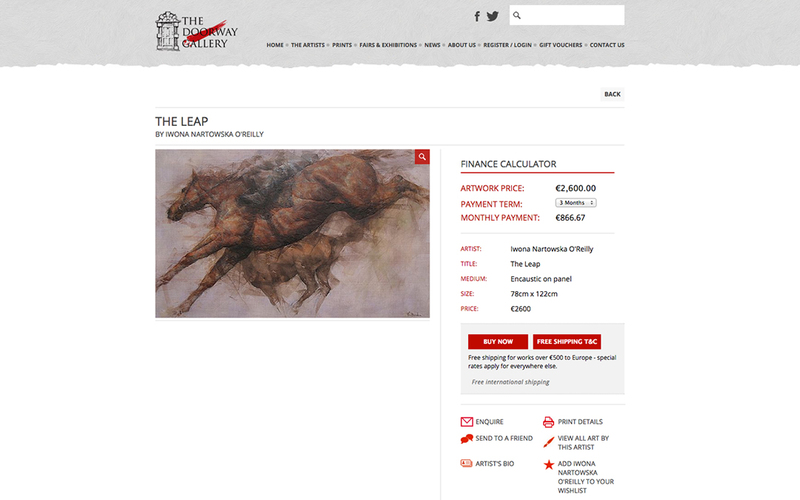 Customers can buy artwork online or estimate monthly repayments using a simple finance calculator. Information about current and upcoming art fairs and exhibitions can be displayed along with an archive of previous events. 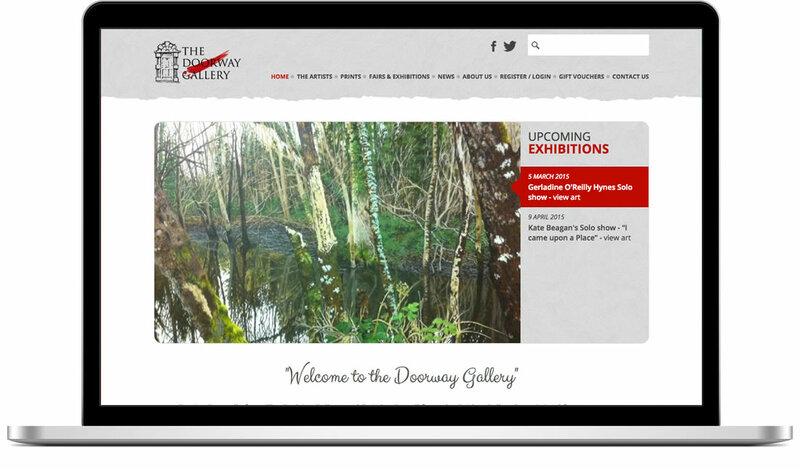 Video content as well as links to invitations & photo galleries can be included with each exhibition.